I have always been fascinated with Abraham Lincoln. I first read about him in grammar school. I remember my very first book and was intrigued with the pictures of a tall lanky young Lincoln. I was captivated as I learned about a boy from humble beginnings with a strong work ethic who defied the odds and changed the world. Since that time I have read numerous books on Lincoln, perhaps more than on any other one individual. Even now I have two books that I plan to read this year. There have been 16,000 books published on Lincoln–125 on the assassination alone–more than any other American. It appears my fascination is shared. His leadership was a demonstration of his character. Repeatedly I have read how he was challenged, criticized or disregarded, but it did not change the way he led. 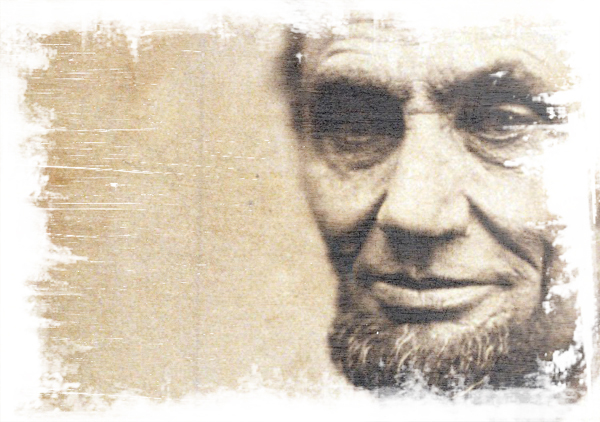 Lincoln knew who he was and what he believed and acted upon it. He was not afraid to make the hard decisions even if they were not popular. His decision to abolish slavery was principled and costly, but he did not flinch. He was wise and mature enough to draw wisdom from everyone including his detractors and even his enemies. I suggest every leader read Team of Rivals by Doris Kearns Goodwin to see how Lincoln led with adversaries. His family was a high priority and had access to him. I remember reading accounts of his sons running into the Oval Office during “Meetings of State” to see their father and knowing they had that right. He never forgot where he came from which helped him maintain a keen sense of awareness of people. Even as President he was mindful of individuals and never seemed to be too taken with himself. I do not believe Abraham Lincoln was the perfect leader. He did not make all the right decisions, but no leader does. His faith was important to him, but he was not the perfect Christian; however, his faith was one of the guiding forces of his life. I just know that every time I read another book about him I am inspired and challenged to be better than I am right now. This guest post was written by Mike Calhoun. Mike is the Vice President of Word of Life. Mike has written many books and resources, most recent being 8 Reasons Why I’m Not a Christ. He also enjoys writing, teaching, and speaking. Click here to check out more of his thoughts on his blog.